HomeTechHuawei Mate 9 (Porsche edition) Launched. Huawei recently revealed the Mate 9 and also the smatphone’s special Porsche edition and the Huawei Fit Fitness tracker. The Porsche edition will be available only in the Graphite Black version. The limited edition designer phone will be available worldwide except USA from January 2017 in Porsche Design Stores and selected Huawei retail stores in Asia. As per Gizmodo Australia, the Huawei Mate 9 Porsche edition sports a 5.5-inch QHD AMOLED Display, a 6GB mega RAM and 256GB of inbuilt storage. The Porsche edition will be available for €1,395 (AU$2,012). 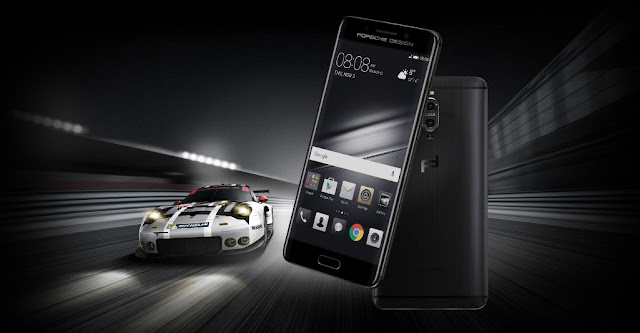 The Huawei Mate 9 Porsche version runs on an EMUI 5.0 based on Android 7.0 Nougat operating system, is powered by a HiSilicon Kirin 960 octa-core SoC and ARM Mali-G71 GPU. The designer edition has a second-generation Leica dual lens camera. The camera boasts of a 12MP RGB sensor and 20MP monochrome sensor. Such camera specs will provide the images with enhanced colour accuracy and depth perception. The rear camera has the Hybrid Zoom feature, 4-in-1 Hybrid Autofocus System, dual-tone dual-LED flash, OIS and phase detection autofocus systems. The Huawei Mate 9 Porsche edition has an 8MP front camera. The Huawei Fit fitness watch features automatic step counting, heart rate monitoring and support for multi-sport activities. The device also offers real-time coaching and displays training score, recovery time and VO2 max. The Huawei Mate 9 with 4GB RAM and 64GB internal storage will be available for €699 (AU$1,010). The smartphone will have a 5.9-inch IPS LCD capacitive touchscreen with a screen resolution of 1080 x 1920 pixels. It will run on the Android 7.0 Nougat OS with a Hisilicon Kirin 960 chipset and Mali-G71 MP8 GPU, writes GSMArena. The Dual 20 MP +12 MP primary camera will have OIS, 2x zoom, Leica optics, phase detection & laser autofocus and dual-LED (dual tone) flash. There is an 8MP secondary camera.